« Playing Towards Fitness: Let Them Get Dirty! As the weather warms up and fresh vegetables are readily available there are many good choices to add vegetables to your outdoor grilled meals. It not only keeps the heat out of the kitchen, it adds variety to your family meals. Outdoor grilling can be a healthy, low-fat way to cook. 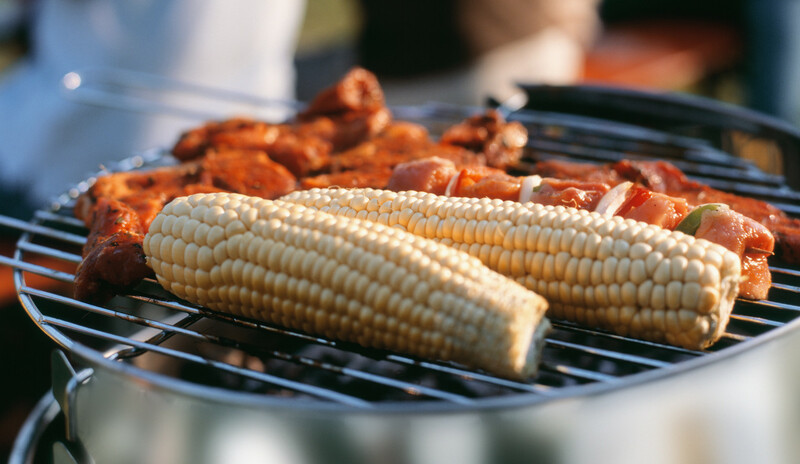 Place large vegetables such as corn on the cob and asparagus directly on the grill. Smaller vegetables such as peppers, mushrooms, zucchini, and cherry tomatoes should be washed and cut into uniform pieces. Place them in an aluminum foil packet or a vegetable grilling basket. For added flavor, marinate for 15 minutes before grilling by tossing them with a mixture of 2 parts oil, one part lemon juice, a crushed garlic clove and other herbs of your choice. Cook on a medium-hot grill, turning them often. When easily pierced by a fork, they are done. Place vegetables in a non-metal dish, pour Italian salad dressing over all and mix. Marinate vegetables in the refrigerator for 1 hour. Drain vegetables and thread alternately on skewers. (Or use a foil pouch or vegetable basket.) Grill kabobs 15-20 minutes, turning to brown on all sides. Makes 4-6 kabobs. Reviewer: Kathy Green, Extension Educator, Family and Consumer Sciences, Ohio State University Extension, Butler County.